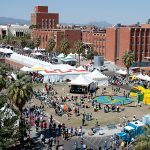 The University of Arizona Press is gearing up for the tenth anniversary of the Tucson Festival of Books (TFOB), to be held Saturday, March 10, and Sunday, March 11, on the University of Arizona campus in Tucson, Arizona! 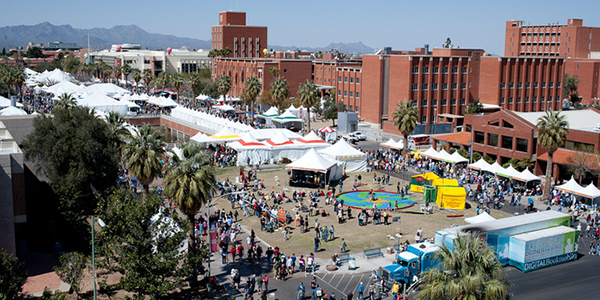 TFOB is a major literary event, regularly drawing more than 400 authors from across the country and more than 135,000 attendees. Panels, readings, and other author activities present a fantastic opportunity to hear from talented authors on a wide range of subjects. Visit the TFOB website and browse the offerings by participant or genre, then create a personalized schedule. There are plenty of family and entertainment activities, including a free concert on Saturday night by the star-studded Rock Bottom Remainders, the self-proclaimed “hard-listening” band. The UA Press will have a large booth on the mall with a wide selection of books for sale at great discounts and signings by our authors. Stay tuned for more information!